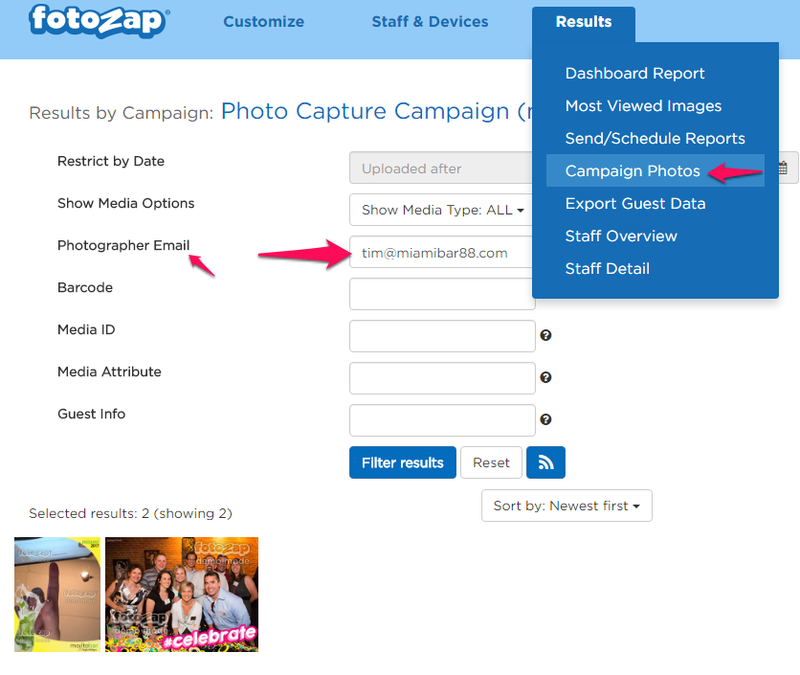 Once you invite staff members in your own organization, and they create their own photographer accounts, you can then track to see who is creating the most marketing benefit. should be a section that shows images taken by each photographer in both table and line graph form. These charts can be added or removed from your dashboard. And then that dashboard can be set up for scheduled delivery. This is the best way to view photographer activity. 2. You can also see similar information by visiting: Results>Staff Overview. On this tab (shown below) you can see a list of your photographers active on your campaigns, how many photos/videos each one took, how many of these media files were viewed at least once, and the time and date of their latest upload. You can adjust the time period to view just what happened recently. Tip: If you see that a photographer has a much lower percentage of Media Viewed, than the norm, he might not be correctly engaging with the the guests. 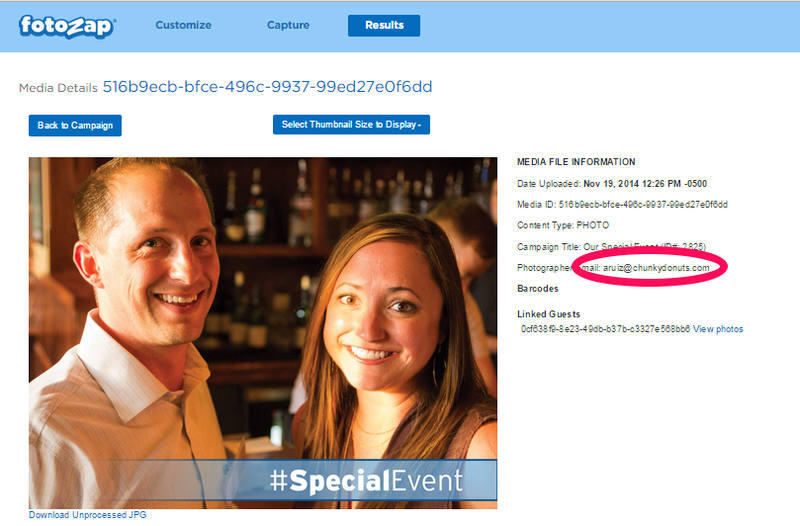 When looking at Results > Campaign Photos > [campaign name] you can enter the photographer's email address in the search box and see all of the photos taken by that individual photographer. This gives a good indication of how well the photos are being taken by that photographer. Clicking on any thumbnail on the Results>Campaign Photos> [campaign name] screen shows you information about that particular photo or video. Below you can see that the information also includes the photographer's login email who uploaded the photo.